Phulbani: Odisha Chief Minister Naveen Patnaik sanctioned Rs 1 crore for the treatment of conjoined twins of Kandhamal district who are admitted at the AIIMS, New Delhi. “The amount of Rs 1 crore will be given to the director AIIMS from the chief minister’s relief fund. The amount is sanctioned as per the recommendation of the AIIMS doctors looking after the twin’s treatment,” an official statement said. Earlier, state Health and Family Welfare Minister Pratap Jena had visited AIIMS and consulted with the treating doctors. The twin boys, Jagannath and Balaram, who are conjoined at the head were admitted to AIIMS at the state government’s initiative. AIIMS authorities have informed the state government that they may hire specialists from abroad if required for the treatment of the twins. 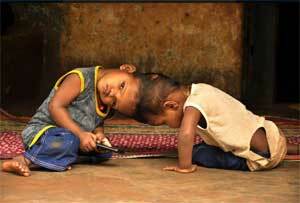 The twins’ father Bhuyan Kanhar is a poor man and cannot afford the cost of treatment required to separate the conjoined heads. Their mother Pushpanjali Kanhar had appealed to the chief minister to extend helping hand for the treatment of the twins. Medical Dialogues team had earlier reported that the Odisha government will provide all medical assistance for the treatment of conjoined twins attached at the head, officials said.